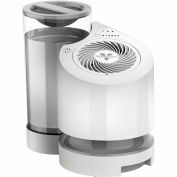 Vornado Evaporative Whole Room Humidifier EVAP40, 4 Gallon, 1000 Sq. Ft.
AIRCARE Aurora Ultrasonic Humidifier AUV20AWHT - Aroma Diffuser, Multi-Color LED, 1 Gal. 750 Sq.Ft. 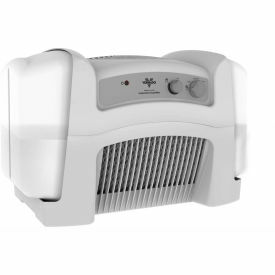 The Evap40 Whole Room Evaporative Vortex Humidifier creates a comfortable, perfectly humidified living space quickly and quietly. Vornado's deep pitch blades pull large volumes of harsh, dry air through two humidifying filters, and then, using Vornado's signature Vortex Action, circulates the humidified air throughout the room, providing complete and uniform humidification in spaces up to 1,000 sq. ft. 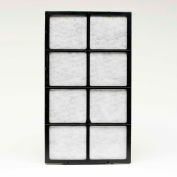 The Evap40 delivers automatic humidity control with a built-in humidistat. An easy-to-use control panel allows you to choose your desired humidity level and fan speed (low, medium, or high). 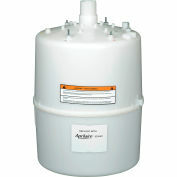 Its extra-large 4 gallon capacity provides up to a 4 gallon water output when operated continuously on high, allowing for long, uninterrupted operation and fewer refills. 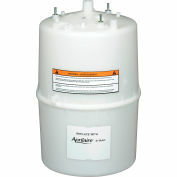 Whole Room Humidification - Up to 1,000 Sq. 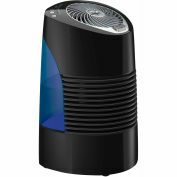 Ft.
Vornado Ultrasonic Humidifier ULTRA3, 1 Gallon, 600 Sq. 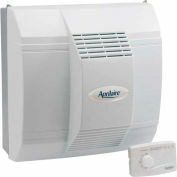 Ft.
Vornado Evaporative Whole Room Humidifier EV100, 1 Gallon, 300 Sq. 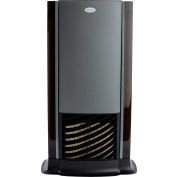 Ft.
AIRCARE Designer Series Evaporative Humidifier D46 720 - 2 Gal., 1200 Sq. Ft.